Virtual Hideout's Game of the Day today is Valve's iconic shooter Team Fortress 2! 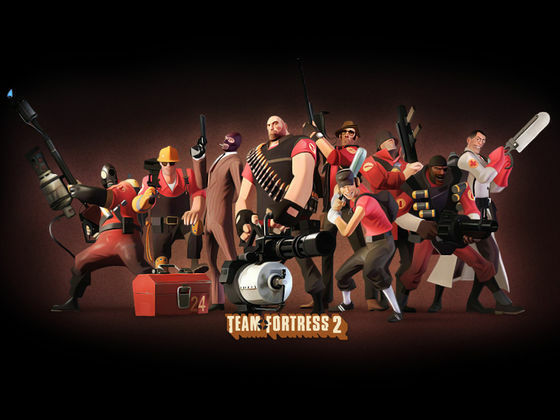 A game that almost certainly inspired Blizzard's Overwatch, Team Fortress 2 has players stepping into the shoes of one of nine unique classes, all with their own playstyles and personalities. Do you like to get up close and personal with your enemies? Or perhaps you'd prefer picking them off at a distance? Maybe you're the type of player who likes to guard the payload closely while weilding a gigantic minigun? Team Fortress caters to every gamer's desire, leading to a fresh experience every time you play. Switch freely between each class mid-fight and dominate the enemy team with a mixture of strategy and skill. Unlock new accessories for each character, including literally thousands of hats. Seriously, just so many hats. The classic hero shooter, Team Fortress 2 is now available to play at Virtual Hideout! Bring your best team for this one!